Cooking is a wonderful thing to teach at a young age. When you can teach your kids to cook, you are giving them a great life skill to have. This is where cooking games comes in. With the Meat Samosas game, you are able to show your child how to cook and what goes into the process in a safe environment. No worries about cutting fingers, or burning oneself on the stove. Instead, just a lot of fun as the two of you work together to create a virtual dish. 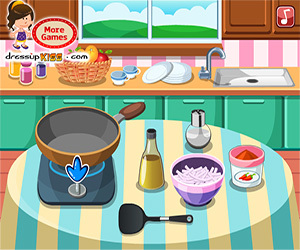 With this game, you can cut up the ingredients yourself, put them into the bowl and mix them up into the basis for Meat Samoas. 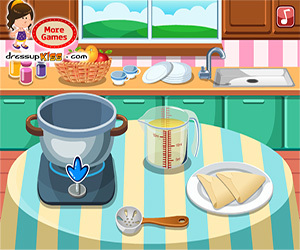 Once you have done that, it is just a matter of baking everything and making a delicious virtual dish with your children. This game is fun, exciting and something everyone will enjoy thanks to the vibrant graphics that are a big part of the gaming experience.